After 19 hours of travelling and now sleep the night before, we arrived at the airport more or less on time, everything went smooth through customs and we found our driver that we had ordered from the hotel. Karloz told us that we had to wait for another couple that was arriving soon, so we went outside and was hit by the warm, humid weather. It was around 32 degrees Celsius. Since we went through the airport so fast, we had to wait for a while, but then we had the opportunity to change to some lighter shoes and relax. Ross and Sarah that we were waiting for was a great couple that we have spent more or less all the time together with until now. When we arrived at the hotel we got checked in and met up with Ross and Sarah on a brewpub (La Rana Dorada or Golden Frog) two blocks from the hotel and actually managed to stay awake until 11 pm. The next day Ross and Sarah had booked a city tour with Karloz, and we decided to join them. 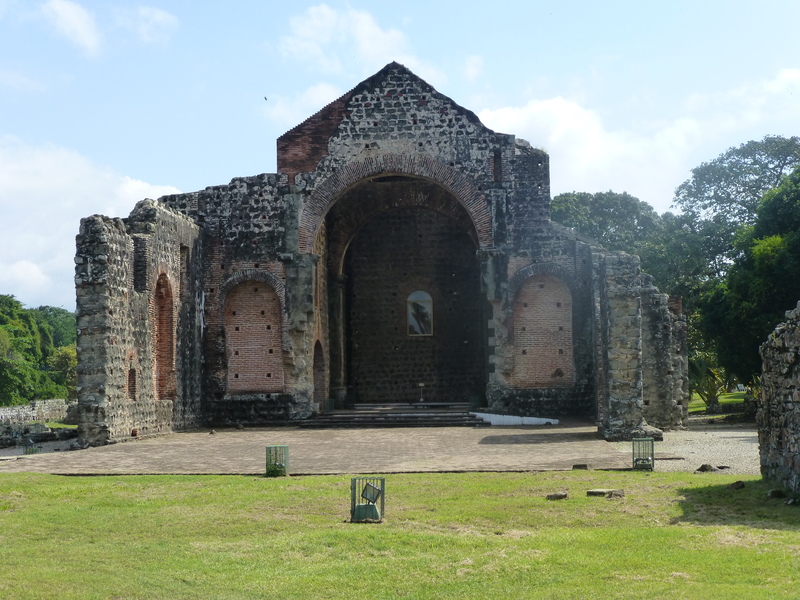 We started the day by driving to Panama Viejo, which are ruins from a city founded in 1519 by Pedro Arias Dávila, and was burnt down and abandoned after the Welsh privateer Henry Morgan attached the city in 1671. Panama was after the attack rebuilt a few kilometers to the west in what is now called Casco Viejo (where our hotel is located). 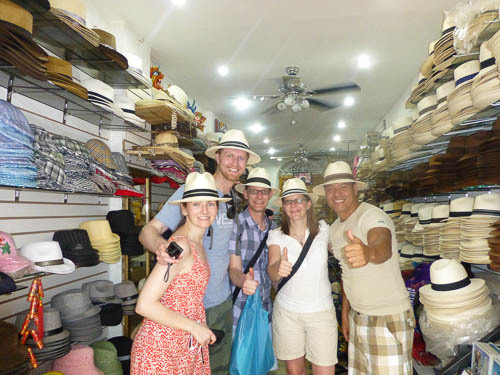 The next stop on our tour was the causeway islands Isla Naos, Isla Perico and Isla Flamenco. 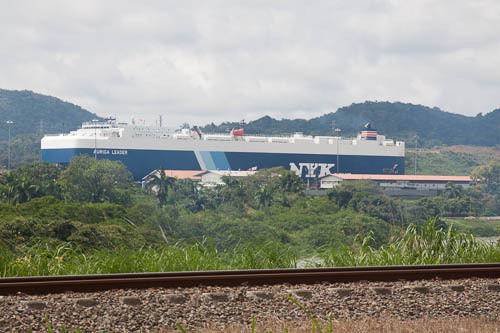 The road out to the islands are made of rock extracted during the excavations from the Panama Canal. The islands had several yacht clubs and american style restaurants and was not that interesting, but the view of the city was fantastic. 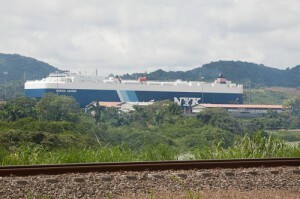 Then it was time for the Miraflores locks, the first lock on the Pacific side of the Panama canal. The lock consists of two chambers lifting (or lowering) a vessel 16,5 meters. It was an amazing sight to see the big container ships moving through the locks. Our city tour continued to Ancon Hill, the hill was under american jurisdiction during most of the 20th century, so it has not been developed as the rest of the city. Today it is a protected area, with a great view over the city. The tour ended with a walk around Casco Viejo which has a lot of beautiful buildings in a mix of architectural styles and lots of charming squares and monuments. Karloz took us to a hat shop, where Fredrik ended up buying two Panama hats. In the evening we had a few beers with Ross and Sarah at a roof bar and a great dinner with wine.